LATAM Airlines started a new service between Santiago and Tucuman on 2nd October in celebratory style. 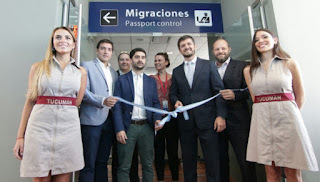 Cutting the ribbon on the first service are Walter Andres Jorge, Regional Manager of LATAM Airlines (second-left); Luis Palma Cané, Internal Sales Manager, LATAM Airlines (fourth-left); and Sebastian Giobellina, President of Ente Tucumán Tourism (third-right), along with members of the Tucuman Bureau. The airline will fly between the Chilean and Argentinian cities three times a week on one of the airlines comfortable Airbus A320 aircraft. 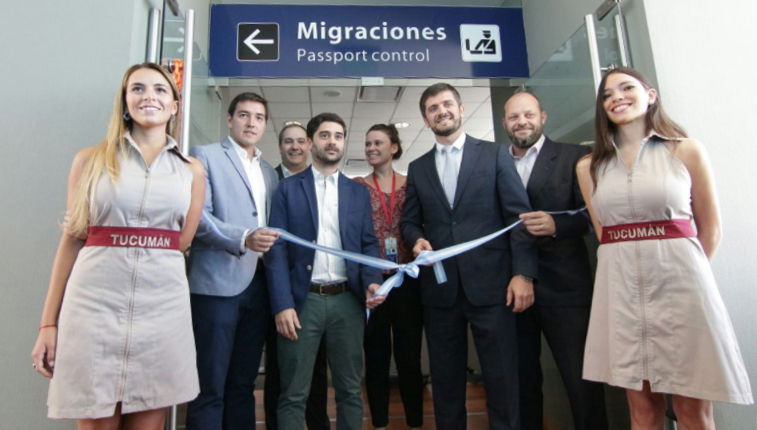 It marks a major step in the airline's expansion of international services, LATAM now operates eight routes to Argentina from the Chilean capital.The airline also flies to Lima and Buenos Aires from Tucuman providing a vital airline to the area. 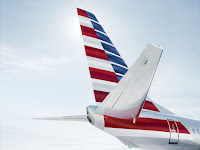 Meanwhile, the airline says that Brazil’s antitrust authority 'Cade' has approved its joint business agreement with American Airlines without any restrictions. The airline said its agreement with American Airlines, and a similar one with IAG (the parent company of Iberia and British Airways) has also now been approved by authorities in Uruguay, Colombia and Brazil. Chile has yet to give its approval, however, this is expected before the middle of this month.